Development on the Galaxy Note 9 is probably in full swing right now, with just about three months left for the phone’s official unveiling if Samsung sticks to its usual schedule. The floodgates haven’t fully opened yet as far as Galaxy Note 9 leaks are concerned, but we have heard a few rumors about Samsung’s upcoming flagships in recent months and, back in March, also seen the phone making its first benchmark appearance. Well, yet another Galaxy Note 9 benchmark entry has now been spotted, with the device powered by the Snapdragon 845 chipset and running Android 8.1.0, just like last time. The benchmark scores aren’t too different from before, suggesting Samsung isn’t yet done optimizing things, which is par for the course as software finalization happens rather late in the development process. 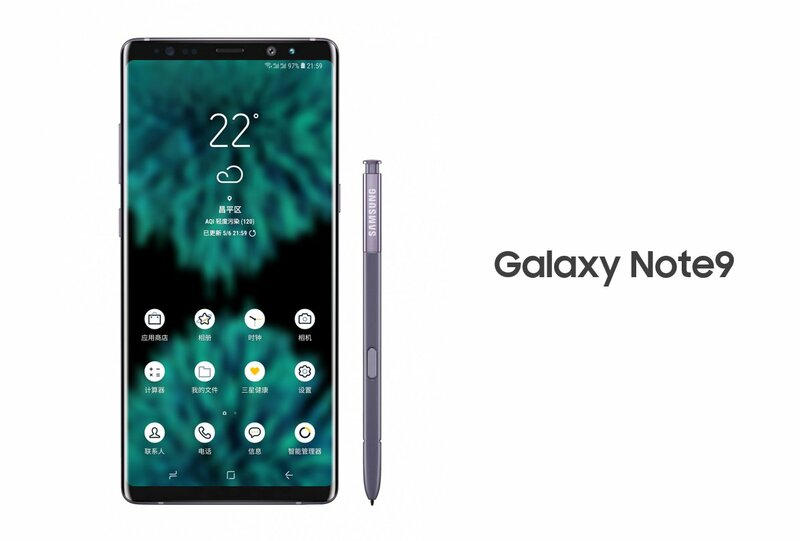 The company does seem to have finalized the design, however, as leakster Ice Universe has said on Twitter that the Galaxy Note 9 is 2 mm shorter than the Galaxy Note 8, along with posting a custom-made image of the device. He also says the phone doesn’t have an in-display fingerprint sensor. The shorter height can be expected, if Samsung brings over the same kind of changes as it did for the Galaxy S9 and S9+. The Galaxy S9+ is 1.4 mm shorter than the Galaxy S8+ (the regular S9, meanwhile, is shorter by 1.2 mm compared to the regular S8) thanks to smaller top and bottom bezels. If the 2 mm figure is accurate, it suggests Samsung has been able to shave off slightly more bezel from the Galaxy Note 9. The stronger metal and glass should also be part of the package, seeing as how they make the Galaxy S9 and S9+ more resilient to damage. As for the in-display fingerprint sensor, Ice Universe had earlier said it would be present on the Galaxy Note 9 but has now backtracked on that claim. Not that it comes as a surprise, as the chances of an in-display fingerprint reader on the Note 9 have always looked rather slim. However, it would also mean that the larger battery rumored for the device may not be a part of the package, either, as it’s unlikely Samsung would have a lot of space to offer a substantial increase in battery size alongside components like the S Pen and the dual rear camera. Of course, unless we see some concrete evidence supporting any of these rumors, it’s recommended to take them with a heavy dose of skepticism. The Galaxy Note 9 may end up being just a Galaxy S9+ with an S Pen and a few minor improvements thrown in, though even if that turns out to be the case, Note fans will still be getting a slew of new features such as stereo speakers and the Dual Aperture camera with Super Slow-mo recording. Meaning, if you’re currently an S8/S8+/Note8 user, there’s no need in upgrading your phone just yet. The note 9 will be an after thought given next year is the main focus with the s10 anniversary and potential foldable phone launch. The Note is never an S with an sPen thrown in. Any Note user will tell you. I can’t understand why people keep repeating that moronic comment particularly people at Sammobile who should know something about the Note phones but seemingly don’t have any knowledge of them. Smh. I disagree.. there really isn’t that much of a difference now between the Galaxy S and Note series now. Besides the S-Pen and software, what else is there? The S9+ has the dual cameras with variable aperture & stereo speakers (which I’m sure the Note9 will get), a 0.1″ smaller screen, a larger battery, and so on..
Before the Note7 and S6 Edge+ the Note always had a bigger display & larger battery, even back then the software experience felt the same..
Note8 user btw, previous Note5 & Note Edge owner.